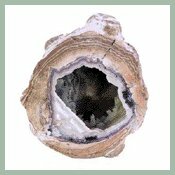 Rocks and Minerals- educational information, activities, and lesson designed for rock collectors, students and teachers. Learn: We have loads of information in one handy location! You’ll find pages about formation, identification, classification and use of minerals, rocks and crystals. Share: Looking for great lesson plans for sharing your love of rocks, minerals or crystals? Browse through our lesson plans, puzzles, or rock club activities for fun, innovative ways to bring the gifts of the earth into your life. Also look for social media icons to share this resource with friends and colleagues. We have added an interactive feature to our website. You can now create your own posts! We also have included a place for you to post pictures of your favorite rock or mineral specimen. See it here. Got a favorite rock shop, museum, or gem show you would like to share? This is the place. Look for more interactive pages coming soon! If you love geology, rocks, minerals, or crystals, rocksandminerals4u.com is your one-stop rock, mineral and crystal resource.